Congress of the People is utterly astonished that people in our country still believe that they can get away with racist remarks and expression of racial hatred. The allegation that a University of Stellenbosch lecturer had sent Duma, a sociology student there, and SMS which read, “Jou swart moer van die wit boer”, is incomprehensible if true. Is rationality dead in our country? Has Mandela’s teachings evaporated with his demise? Is the fact that we are all descended from an African mother lost on all of us? What explanation is there for such residual racial contempt? Racist behaviour is totally taboo in our country. It is a disgrace for anyone, white or black, to perpetuate racism in any form. COPE condemns racism wherever it comes from. COPE is committed to upholding Nelson Mandela’s legacy of reconciliation and nation building. That is the only way forward. Racism is a moral and intellectual failure. It diminishes the racist and endangers our society. We must condemn all racists. All South Africans to stand united against all racists, especially those who come from within our own communities. The stronger our condemnation, the sooner people will understand the need to wash their hearts of racism. If a lecturer at Stellenbosch is indeed guilty of such puerile behaviour, all of Stellenbosch and the university fraternity must stand together and collectively denounce the odious behaviour. 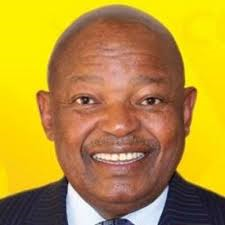 But then why is the Honourable Lekota so silent when his brothers and sisters sing Dubul’ iBhunu ? I agree , totally , but malema and zuma and puppets need to stop their racial slurs on us, the minority , so they are allowed hate speech etc but not us ?? I don t think so ..